Come explore Whitingham’s storied past and vibrant present. Meet some of the folks — past and present — that give our town its unique character, and check out our local businesses. And if you’re a local, get the scoop on trash and recycling. The Town of Whitingham, VT, founded in 1770, sits high in the Green Mountains of southern Vermont, on the Massachusetts border. Whitingham is a 3-hour drive from Boston and a 4-hour drive from New York City. With elevations of 1500 to over 2000 feet, Whitingham is great for X-country skiing, snow shoeing, snow mobiles and other winter sports while our mountain air summers are comfortable for biking, hiking, sailing, boating and other water sports. Just a few miles to the north is the Deerfield Valley and Mount Snow Resort, which has one of the top snow-making operations in the U.S. The Harriman Reservoir in Whitingham is an 8-mile long lake, wonderful for boating, fishing and swimming and has stunning views of the Green Mountains which rise right from the water’s edge. Whitewater rafting and tubing on the Deerfield River can be both challenging and serene. Whitingham is a mix of farmland and forests which makes for a beautifully diverse landscape. Our forests are growing and are home to abundant wildlife. Many Whitingham land owners practice sustainable forestry, managing their forest for future generations. Whitingham has enjoyed steady population growth within the past several decades. In 2016, the population was 1,453 year-round residents. Families living here for many generations are the town’s bedrock. The town’s second home owners come from the New York City area, Connecticut, New Jersey and Massachusetts and often eventually decide to live here full time. 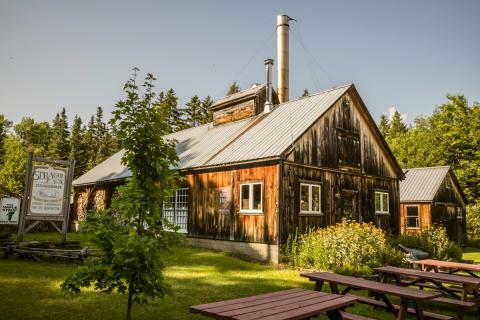 Whitingham is a mix of folks from many places who all know how lucky we are to live or vacation in a place with farms, mountains, forests, lakes, cows and maple syrup.